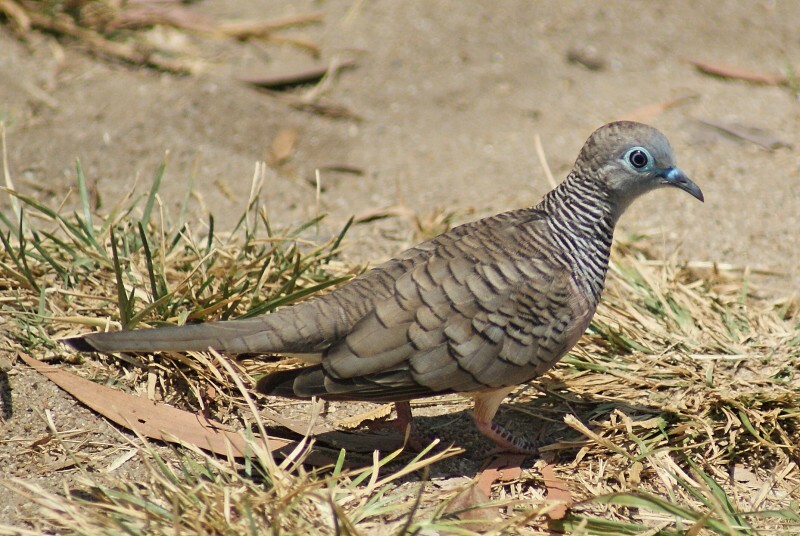 The peaceful dove is a small dove (20-24 cm) common across much of Eastern and Northern Australia with a distinctive barred plumage and blue skin around the eyes and beak. 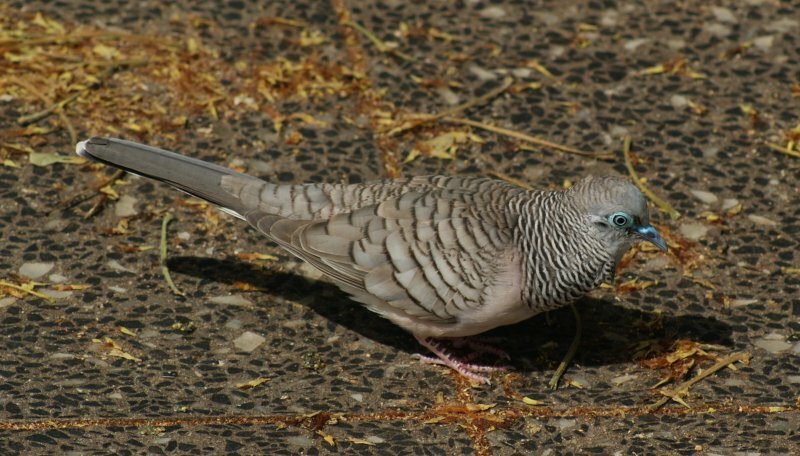 They have been recently split from the Zebra Dove of South-East Asia and Barred Dove of Indonesia, giving the scientific name as G. placida, peviously G. striata, but this not accepted by all authorities. They sometimes form small flocks, but are often seen alone, in parks, gardens and woodland clearings where they feed mainly on seeds. Their call is often "doodle-doo" and sometimes a cooing. 2: Cairns Esplanade, Qld, 17/10/2010.